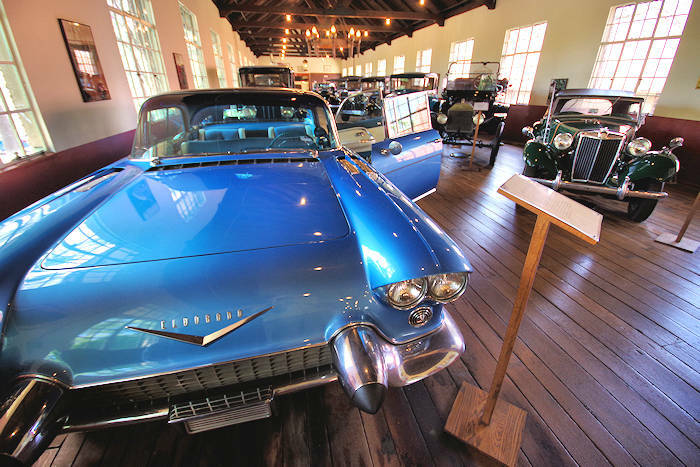 A must stop for car buffs is located just a few miles from downtown Asheville in Grovewood Village behind Grove Park Inn. 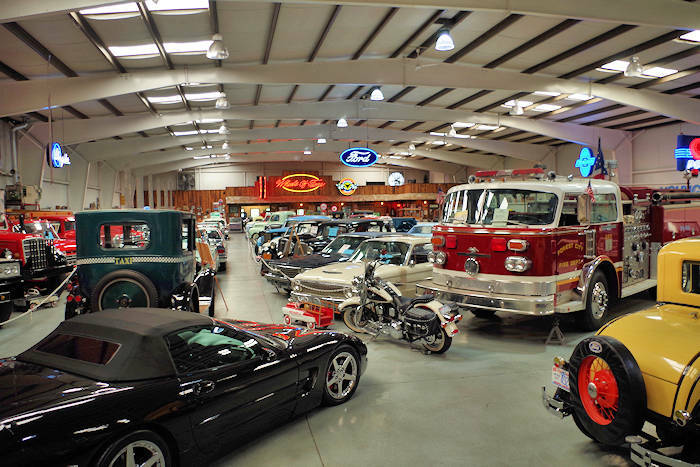 The Antique Car Museum was established in 1966 by Harry Blomberg, founder of Harry's on the Hill - the oldest family-owned car dealership in Asheville. 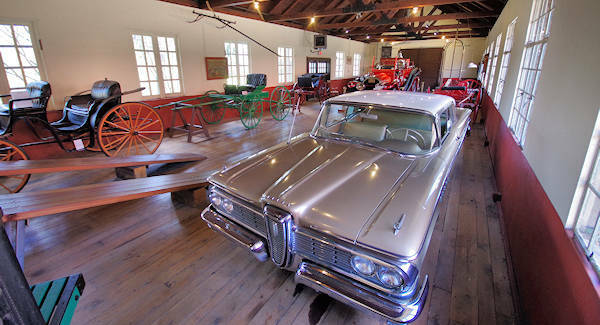 The museum is home to four horse-drawn carriages and 19 vintage automobiles, including a rare 1957 Cadillac Eldorado Brougham (only 400 made) in the photo above. It's free to visit! 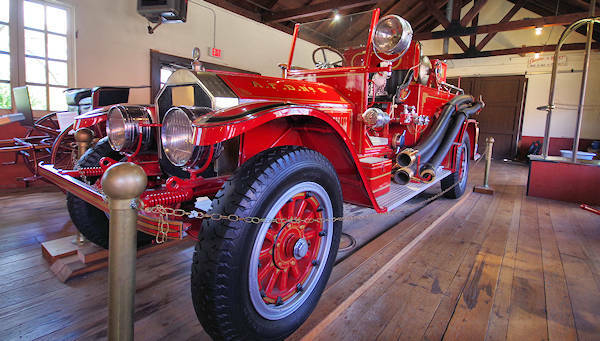 See Asheville’s own 1922 American LaFrance fire engine and other fire fighting equipment. Look up at two Roycroft chandeliers (circa 1918) and look for an authentic moonshine still. Don't miss the 1959 Edsel Corsair! The 1923 building originally housed Biltmore Industries' weaving shop with 40 looms producing bolts of some of the highest quality homespun fabric in the country. 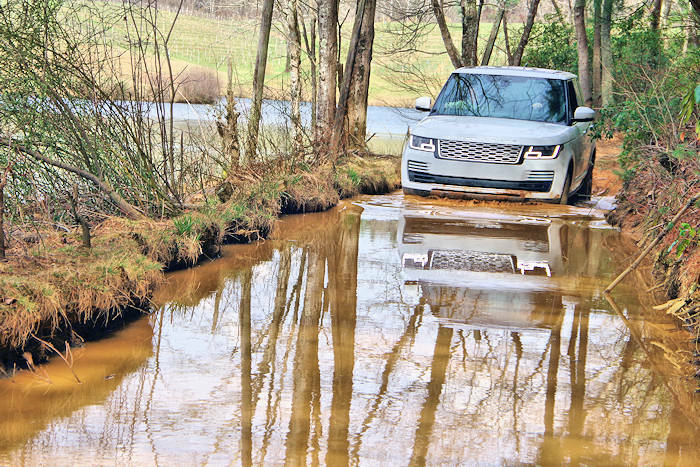 Read more about factory tours. Next door, browse the impressive Grovewood Gallery, stroll through the garden with art sculptures and tour the Homespun Museum. Read more about Grovewood Village. Open April-December, Monday-Saturday 10 AM-5:30 PM, and Sunday 11 AM-5 PM. The museum is closed January-March. Admission is free, but donations are greatly appreciated. The museum space can be rented for private events as well. Street Address: 111 Grovewood Rd, Asheville. Go to their Web site. 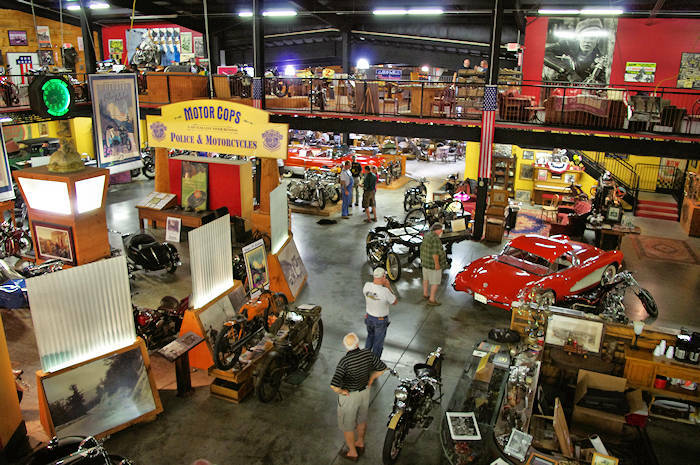 See more antique cars and a huge motorcycle collection at Wheels Through Time in Maggie Valley.